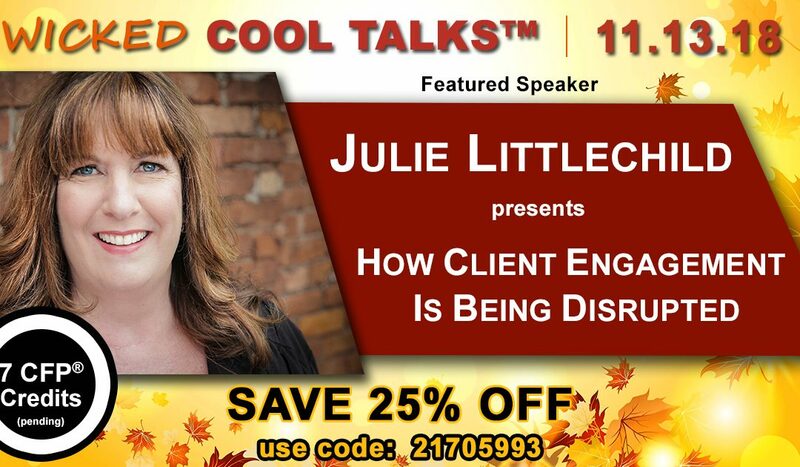 Register now for Wicked Cool Talks on November 13th and save 25%! Come hear Julie LIttlechild speak, author of The Pursuit of Absolute Engagement, along with Anna Byrne, JD, Gina Arons, PsyD, and Patricia C. D’Agostino, Esq. Topics will range from Client Engagement, Estate Planning, Long-Term Care, helping recently Widowed clients, and more. Register now and save 25% OFF until September 30th!